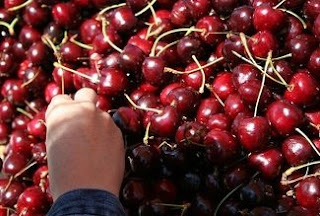 Cherry Picking at the CCW ? The brouhaha surrounding the attempted Chinese arms shipment to Zimbabwe is likely to die down a bit now that China has said that it has recalled the vessel still fully loaded with its cargo of 70 metric tons of Chinese weaponry (apparently including small arms ammunition, rocket-propelled grenades, mortar rounds and mortar tubes). The cargo had been destined for landlocked Zimbabwe's armed forces but could not be offloaded in any of Zimbabwe's neighbouring countries due to vehement opposition from unions, churches, courts, civil rights groups and other governments in light of the post-election violence currently gripping Zimbabwe. It seems that, sometime during 2007, the Zimbabwe Ministry of Defence ordered the weaponry from China, one of its biggest trading partners. An invoice was apparently sent on 21 January 2008 and the goods, manufactured by Poly Technologies Inc. - a Chinese State-owned arms company - left China on the Chinese State-owned cargo ship, the An Yue Jiang, around the middle of March, presumably after payment (US$1.25m) had been received. On April 14, a Monday, while the ship was approaching the South African port of Durban, Noseweek, an investigative magazine in Cape Town, reportedly received a phonecall from a whistle-blower advising of the ship, its cargo and the destination of both. When the ship anchored off Durban a few days later, the South African Transport and Allied Workers Union refused to unload the weapons, citing fears that Robert Mugabe's government might use them to crack down on opponents in the disputed election, the results of which had not yet been released, despite almost a month passing since the polls. On April 18, the Friday of the same week, it was reported that the Durban High Court suspended the ship's conveyance permit and ordered that it and its cargo should stay put. When an attempt was made to serve the court order on the captain of the An Yue Jiang (it seems that the order was actually on its way to the cargo ship on a small boat), the latter weighed anchor and sailed away with the captain apparently announcing on the radio, "next stop Maputo," referring to the capital of Mozambique. 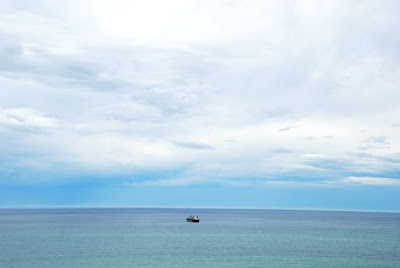 This, it seems, was a feint since instead of sailing the short distance north-east to Maputo, the ship headed instead in the opposite direction, around the Cape of Good Hope, apparently making for Angola. But it was not to be. South Africa's main trade union confederation called on workers in other African countries not to unload the weapons bound for Zimbabwe. Other countries, including Zambia and the United States, weighed in to urge countries in the region not to allow the arms to be delivered. The United States also asked China to halt the delivery and recall the vessel. The ship did reportedly manage to dock in Luanda, Angola, where it was allowed to unload other cargo, but not the weapons destined for Zimbabwe. Finally, with no South African port willing to accept it, the An Yue Jiang was reported on April 24 to be turning back towards China. "Every country has got a right to acquire arms... How they are used, when they are going to be used is none of anybody's business." "China has always had a prudent and responsible attitude towards arms sales, and one of the most important principles is not to interfere in the internal affairs of other countries." At the 2005 World Summit, all of the world's Heads of State and Government agreed, for the first time, that states have a primary responsibility to protect their own populations and that the international community has a responsibility to act when these governments fail to do so. "...the absence of common international standards on the import, export and transfer of conventional arms is a contributory factor to conflict, the displacement of people, crime and terrorism, thereby undermining peace, reconciliation, safety, security, stability and sustainable development." It is difficult to imagine how common international standards for the import, export and transfer of conventional arms could be developed without taking into account, inter alia, the internal situation of the recipient State. The regional politics surrounding this episode are, of course, intricate; and certainly more complicated than media reports often capture. But it has certainly raised awareness about some of the issues at stake in moving towards common international standards in the arms trade. It also suggests that the process of developing an Arms Trade Treaty will not be an easy one. The saga of the An Yue Jian provides a valuable real-world case-study that should be of value to UN Member States as they grapple with ways of effectively regulating the global arms trade. China Foreign Ministry defends arms shipment to Zimbabwe, but indicates deal may be scrapped (The Associated Press, April 22). This week is a rare pause in a fairly comprehensive schedule of multilateral disarmament meetings that stretches until June. We've reported on the UN Convention on Certain Conventional Weapons' (CCW) work earlier this month, and last week and this week there were regional events on cluster munitions in Mexico City and Bangkok. "The Hague remains less NGO-friendly than Geneva, New York or Vienna. A major part of this derives from less experience engaging with NGO activities. The experience of this Review Conference seems to be that a greater number of delegates appear to recognise that NGOs have a useful role to play in the efforts to reduce the global threat from the hostile uses of poisons." It's about time, although, historically, the CWC is by no means alone in the arms control field in resisting diverse inputs. Meanwhile, this time around the CWC didn't have an easy time of it in attempting to achieve a review meeting outcome, which took until the early hours of Saturday morning. A declaration text has yet to emerge publicly, but my understanding is that wording on terrorism (including whether UN Security Council resolution 1540 could be specifically mentioned) and what to do about countries about to miss their treaty-mandated deadlines for destruction of their chemical weapons were at issue. You can read all about it, including Richard's daily reports, on the civil society web resource page Daniel Feakes and his colleagues set up for the Second CCW Review Conference. Next week, the second preparatory meeting of three for the 2010 review conference of the Nuclear Non-Proliferation Treaty (NPT) commences in Geneva. Disarmament Insight blog readers may recall that the first PrepCom in May last year in Vienna was very tough, with various Iran-related procedural shenanigans right up until the end of the meeting. It's difficult to see how this second NPT PrepCom will be easier, but let's cross our fingers. Many Geneva-based disarmament diplomats in the corridors of the Palais already have a faintly harried look - the meeting hasn't even started! - although caucusing of various kinds has, of course, been underway for some time. And, there will be a great number of side events associated with the NPT. We hope to bring you updates from time to time on these nuclear doings. As if the NPT wasn't enough, the Conference on Disarmament resumes on 12 May - although hopes it would achieve a work programme in 2008 after a decade of deadlock look once again to be fading. There is also the Dublin Conference to negotiate a treaty banning cluster munitions that cause unacceptable harm to civilians from 19 to 30 May, which many from Geneva will attend. Then there are the intersessional meetings of the Anti-Personnel Mine Ban Convention back in Geneva for a week from 2 June, the IAEA Board of Governors meeting in Vienna at the same time....it's all go. Fortunately, there is a way to keep track of most of this. Geneva Forum, which along with UNIDIR collaborates in bringing you Disarmament Insight, has a very useful disarmament calendar on its website. It's worth bookmarking in your web browser. 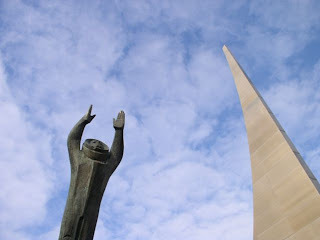 Photo by author of space sculpture in the Palais des Nations grounds. Over the last week, the Disarmament Insight blog has focused on ongoing efforts in the UN Convention on Certain Conventional Weapons (CCW) to devise a response to the humanitarian impacts of cluster munitions. The elephant in the room at the CCW's expert meeting in Geneva last week, of course, was the Dublin Conference. This negotiating conference, to be held from 19 to 30 May, is anticipated to be the culmination of the Oslo Process's efforts to complete a humanitarian treaty on cluster munitions. And there is certainly plenty activity occurring in support of the Dublin Conference. A fortnight ago, African states met near the Victoria Falls in Zambia, and agreed the Livingstone Declaration on cluster munitions, which we understand was endorsed there by Algeria, Angola, Benin, Botswana, Burkina Faso, Burundi, Cameroon, Comoros, Congo (Republic of), Cote d'Ivoire, Democratic Republic of Congo, Eritrea, Ghana, Guinea Conakry, Guinea-Bissau, Kenya, Lesotho, Liberia, Libya, Madagascar, Malawi, Mali, Mauritania, Morocco, Mozambique, Namibia, Niger, Nigeria, Senegal, Seychelles, Sierra Leone, South Africa, Sudan, Swaziland, Tanzania, Tunisia, Uganda, Zambia and Zimbabwe. There are other regional meetings going on too. As this post is being written, Mexico (an Oslo Process core-group member) is hosting the second day of a 2-day conference of 22 Latin American and Caribbean countries in Mexico City. And, next week, the International Committee of the Red Cross is hosting a meeting of its own in Bangkok, Thailand, for the ASEAN states. While not specifically an Oslo Process event, that workshop is bound to feed into momentum on international efforts to address the humanitarian impacts of cluster munitions, and so probably impact Dublin. And, as might be anticipated, civil society - mainly co-ordinated by the Cluster Munition Coalition - is gearing up for the Dublin Conference and seeking to build pressure on governments to prohibit cluster munitions that "cause unacceptable harm to civilians". The CMC has declared Saturday 19 April a 'Global Day of Action on cluster munitions' and is holding a range of events around the world to coincide with it. Some of its members are also releasing new resources. For example, there is a short multimedia presentation by the photographer Werner Anderson and Norwegian People's Aid entitled "Make it Happen" (you can view it online here, and download in Quicktime format if you wish). Another web site that is well worth a visit sheds life on the real-life impacts of cluster munitions and the perspectives of those directly affected. The Ban Advocates' Blog, a Handicap International project, aims to give survivors of cluster munitions a greater voice. It includes the first-hand account of Soraj Ghulam Habib, a young man from Afghanistan who lost both his legs to a cluster submunition at the age of 10 and is now wheelchair-bound. Soraj has become active in the Oslo Process, and spoke movingly of his experience at the start of the Wellington Conference in February. The harrowing accounts of other survivors are also on the Ban Advocates' site. Photo credit: Alison Locke. 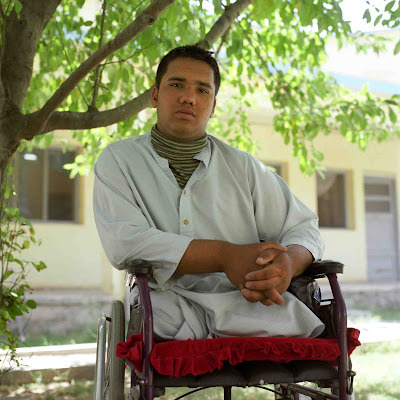 Soraj lost his legs when he found a cluster bomb he thought was a can of food. He was so badly injured doctors suggested he be given a lethal injection. Handicap International estimate that 60% of cluster bomb victims are children. The small size and curious shapes and colours of cluster bombs make them particularly interesting to children. While the main cherry blossom season is drawing to an end in Japan, the UN Convention on Certain Conventional Weapons (CCW) Group of Governmental Experts engaged in what was, from a legal point of view at least, something of a cherry picking exercise in Geneva last week. In its capacity as Friend of the Chair, Japan held several informal meetings to identify rules and principles of international humanitarian law (IHL) of particular relevance to the use of cluster munitions, and to elaborate new provisions and best practice guidelines to strengthen IHL implementation in this context. The results of this “fruitful debate” on IHL implementation (as Japan described it) were attached to the meeting’s procedural report as an annex (Annex III), in the form of “draft elements on international humanitarian law” and “draft elements of best practice guide” (this report should be up on the UN's CCW webpage soon). Several states and the ICRC said these draft elements were cause for some concern. Whereas certain “draft elements on IHL” are taken verbatim from 1977 Additional Protocol I to the 1949 Geneva Conventions, others have been reproduced with wording that differs from the original text. For instance, articles 51(1) and (2) and 52 (1) of Additional Protocol I on the protection of civilians have been drawn together without reiterating the prohibition of reprisals against civilians and civilian objects and the prohibition against spreading terror among the civilian population. Other rules that would appear to be highly relevant to the use of cluster munitions have not been included in the list at all. One notable omission is the explicit prohibition of indiscriminate attacks, as reflected in article 51(4) of Additional Protocol I. According to this provision, indiscriminate attacks are, inter alia, “those which employ a method or means of combat which cannot be directed at a specific military objective” or “the effects of which cannot be limited” as required by the protocol. Selectiveness in the choice of norms and modification of their original wording risks creating the impression that certain rules and principles of IHL do not apply, or are of minor importance, to cluster munition use. This would create legal uncertainty for IHL implementation at the operational level. And the existing set of rules and principles on the conduct of hostilities that applies to all types of weapons could be undermined. The “draft elements of best practice guide” add to this concern by listing under the heading of “voluntary” national mechanisms for IHL implementation several measures that a majority of states are already legally obliged to take. States parties to Additional Protocol I have, for example, a legal obligation to determine the lawfulness of new weapons (article 36). Other suggested measures are incumbent on all states as customary international law obligations, such as the obligation to provide instruction in IHL to their armed forces (see Rule 142 of the ICRC’s Customary Law Study). Japan sought to reassure those involved in last week’s informal consultations that its work aimed at the mere restatement and application of existing IHL principles to cluster munitions – in contrast to the creation of new norms. This sounds like a simple task. Yet several draft elements on IHL are in brackets, which leads some to worry that states will not even agree on which principles are relevant. But states’ difficulties are perhaps not so surprising. First, in a fragmentary international legal system, states are bound by different treaties. Second, their interpretations of indeterminate and general legal principles (such as the principle of proportionality) differ. Third, states often frame the factual issue to be regulated differently. This leads to divergent views as to which principles are relevant in a given context. In this case, there is disagreement over whether and to what extent the inherent characteristics of cluster munitions mean that they cause unacceptable harm to civilians. Finally, the application of a general norm in a specific factual context always involves interpreting, specifying and adapting the norm itself, which results in its recreation in an ongoing dynamic process. A clear-cut distinction between “simple” restatement of existing norms and the creation of new ones is therefore something of an illusion. Why should this work be of any interest to anyone but lawyers? Because it potentially has very real consequences for combatants and civilians both during and long after a conflict. This is why the CCW Group of Governmental Experts’ work last week is of broader concern, and should not be regarded as a routine and summary exercise. This is a guest blog by Maya Brehm. Maya is a PhD fellow in public international law at the University of Copenhagen, and currently a visiting Disarmament as Humanitarian Action fellow at UNIDIR. Photo by byte retrieved from Flickr. Today the UN Convention on Certain Conventional Weapons (CCW)'s group of governmental experts wrapped up its second session of work for 2008. Scheduled as the only major multilateral meeting on cluster munitions between the Wellington Conference and culminating negotiations of the Oslo Process on a cluster munition treaty in Dublin in May, this week's CCW shindig was, in effect, also an informal on-the-margins Dublin preparatory meeting. So it's worth briefly taking stock of where things are on international efforts to address the humanitarian effects of cluster munitions. Readers may be aware that last November the CCW managed to agree on a mandate to "negotiate a proposal" on cluster munitions with several weeks of work in 2008 to elaborate exactly what this would entail. It's fair to say that the CCW achieved its mandate because of the momentum the Oslo Process was generating outside it (see previous posts to see how this unfolded). The irony of this is not lost on those involved in both processes - Oslo emerged from frustration about lack of momentum in the CCW. Now the two are working in parallel, but to see them as being in competition would be to fail to capture their rather complicated relationship (more about that another time). In January, the CCW expert group began efforts on a 'draft working definition' of cluster munitions under its chair, Ambassador Bent Wigotski of Denmark, with assistance from Major-General Lars Fynbo. The 'draft working definition' ended up as a heavily square-bracketed annex in the January meeting's procedural report. Despite the 40 square-brackets indicating considerable divergence of views, and even though no one was sure what the definition would be for, this was hailed in the CCW as promising progress. At the CCW's second expert meeting this week, these differences were still apparent. The positions of major users and producers of cluster munitions, as we've noted previously on this blog, have become more nuanced over the last year - but they don't seem to have changed. Russia is resistant to any agreement that would do more than clarify existing international humanitarian law (IHL) rules of relevance to cluster munitions. China's interventions are sparse and, while softer in tone, indicate a similar approach. The U.S., which is currently reviewing its cluster munition policy internally, is reluctant to engage on many issues until the July CCW session, although it said today it was pleased with discussions on IHL and assistance and cooperation this week. Brazil, India, Israel, Japan, Pakistan and South Korea are all very cautious. Consequently, the Chair scheduled little time to develop the draft working definition at this meeting, and when definitions did come up it was mainly for various delegations to say the subject should be put off for later. And although there were talks about various potential elements of a "negotiating proposal" such as transfer restrictions, relevant IHL provisions, victim assistance (under Oslo Process core-group country Austria's direction) and types of cluster munitions that cause humanitarian harm, many sessions finished early as those states present literally ran out of things to say. Nevertheless, Japan's consultations as friend of the chair on IHL elements and its written products led to expressions of concern from the ICRC and some states such as New Zealand and Switzerland that these might undermine existing IHL rules. But that's not to say the week was without value. For one thing, it helped to prepare minds for the July session. I'm not hopeful CCW states will be able to agree on much then, but there is a glimmer of hope. And, with so many of those who will be participating in Dublin present at the CCW's session this week it also helped those preparations, as I mentioned above. Moreover, this week was also an opportunity for various states, as well as the Cluster Munition Coalition (the civil society consortium helping to drive efforts for a ban on cluster munitions that cause unacceptable harm), to smooth over various ruffled feathers from what were sometimes bruising contacts at the Wellington Conference. And, from what they said in their interventions, most countries in the Oslo Process, including many among the so-called like-mindeds such as Australia, Canada, France, Germany, Sweden and the UK, have a good deal in common in their approaches - even if final negotiations at Dublin still face real challenges. There is of course also quite a bit of pre-Dublin positioning and posturing going on. But I also sense a willingness to engage, even on the two most contentious issues; how cluster munitions will finally be defined (and therefore which weapons are banned), closely followed by finding an acceptable solution for text on military interoperability. The latter is a particular headache: while a likely formula seems to be shaping up in the context of definitions, a proposal that looks like a winner on meeting all concerns about interoperability has been more elusive so far. 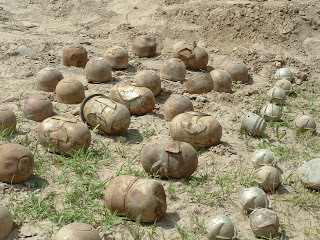 Photo of Tajik AO2.5 and ShOAB submunitions taken in August 2007, courtesy of Andy Smith. Diplomats are often risk-averse in multilateral disarmament negotiations. When questions of national security are at stake, which is often the case, there is really no other choice but to be cautious. The consequences of being too ambitious or too trusting is that one's own State could be taken advantage of and so end up at a net security disadvantage. One way of trying to maximise the chances that negotiations will follow a predictable path and not come off the rails before their reach their conclusion is to always do things the way they have been done in the past. While this is by no means a sure-fire recipe for success, relying on precedent does bring with it many advantages; not least a set of practices and standard operating procedures that are recognised and accepted by all parties to a negotiation. ...the concept of precedent comprises both a conservative and a creative element. Like a ratchet, it has two functions; to allow forward movement (innovation) while preventing backsliding. Unfortunately, much of today’s disarmament diplomacy overemphasizes the conservative element while underutilizing the creative element of precedent. As a result, the concept of precedent tends to constrain more than it enables multilateral disarmament negotiations and, on the whole, actually serves to stifle innovation. Although, thankfully, there are some notable exceptions, many disarmament diplomats have become too used to the idea that, “if it hasn’t been done before, then we can’t do it” (p. 61). The stifling effect of precedent can sometimes be observed not only in negotiations but also in the processes through which the implementation of multilateral agreements are monitored and evaluated. Here again, the prevailing thinking is often more concerned with how things have been done in the past, regardless on how effective this has been, than with coming up with fresh new ideas that could prove to be more effective than what has gone before. It’s refreshing, then, when one actually observes such fresh new ideas take hold and promise to make some improvements over past practice. 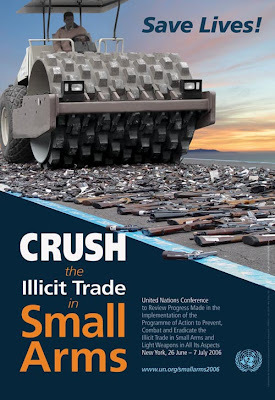 Although it is early days yet, this seems now to be happening in the international process to monitor implementation of the UN Programme of Action to Prevent, Combat and Eradicate the Illicit Trade in Small Arms and Light Weapons in All its Aspects. This multilateral process has been through some tough times. In 2003 and 2005, UN Member States convened so-called biennial meetings to monitor implementation of the agreement. Much of the value that such meetings could have had was whittled away by long, general statements by States and by an insistence on discussing all aspects of what is, by its very nature, a very broad framework of action at the national, regional and global levels. In 2006, the Programme of Action’s first Review Conference, which was meant to evaluate the impact that the agreement had had during its first five years of existence, ended without any agreement whatsoever on what that impact had been or on what the next steps should be. -- The 2008 biennial meeting should focus on a limited number of issues on which there is already a good deal of common understanding and on which concrete progress can be made by the international community; namely (1) cooperation, assistance and capacity-building, (2) illicit brokering, (3) stockpile management and surplus disposal and (4) implementation of the international small arms tracing instrument. -- Ambassador Cekuolis has appointed Colombia, Republic of Korea, Switzerland and Egypt, respectively, to prepare these substantive discussions and to facilitate them at the July meeting. -- States are being asked not to deliver time-consuming national statements at the biennial meeting but to focus instead on the above issues and on identifying other priority issues that could be dealt with in-depth at future meetings; thus developing a longer-term implementation agenda for the Programme of Ation. -- An attempt seems likely to be made to negotiate a substantive outcome document of the meeting that would go beyond the usual procedural description of who participated and how many sessions were held to make concrete recommendations for next steps that could be taken up subsequently by the UN General Assembly. If these seem like sensible ways of helping to ensure a more productive meeting that will advance implementation of the Programme of Action on small arms, it is because they are. It is just a pity that is has taken so long for these reforms to be proposed. The intoxicating power of precedent can sometimes blind us to fact that there are better, more effective ways of doing things. For two weeks from Monday 7 April, states parties to the 1993 Chemical Weapons Convention (CWC) will convene in The Hague for the treaty’s Second Review Conference. The First Review Conference in 2003 was a low-key affair but was judged a success, although some issues were skirted around rather than addressed directly. The Second Review Conference comes at a significant time in the CWC’s short life. 2007 saw the treaty’s 10th anniversary, while 2012 is the deadline by which states parties possessing chemical weapons are meant to have destroyed their stockpiles. Compared to other arms control events, the Second Review Conference barely registers, even among the wider disarmament community. Even the related Biological Weapons Convention has attracted more attention in recent years, although not always for positive reasons. There are a number of reasons for this. The first is due to where its work is based - in The Hague, the CWC is isolated from the main UN cities of New York, Geneva and Vienna. The second reason relates to the CWC's mission – the CWC’s implementing organization has carried out its functions in a technically competent manner, keeping a low profile except for the 2002 ousting of its Director-General. Third, the CWC is one of the least accessible arms control treaties for civil society, meaning that even experts in related fields know little about its work. The Second Review Conference is unlikely to do much to improve the CWC’s visibility. Perhaps there will be a few new articles in the specialist and scientific press and some media attention if Iraq makes good on its recent pledge to join the treaty, but probably little else. This would be a shame as the CWC represents one of the few success stories in arms control over the past 10 years. There are of course problems and challenges, but the story is generally a good one and shows that multilateral treaties can produce results. The task of the Second Review Conference over the next fortnight is to take a long-term, strategic look at the operation of the CWC. It should consolidate the successes of the past decade and map out an agenda for the next five years that addresses the challenges the CWC does face. I've created a blog on the Second Review Conference at www.cwc2008.org and together with my colleagues in the Harvard Sussex Program we've produced a Resource Guide for the Review Conference which is available there. Richard Guthrie will be writing daily reports on the conference, as he's done for BWC meetings since 2006. This is a guest post from Daniel Feakes. Daniel is a Research Fellow at the University of Sussex's Science & Technology Policy Research Unit (SPRU) in Brighton, UK. Photo taken from the OPCW's web site.